Lighthouse Senior Living’s memory care neighborhood, The Village, provides specialized, dedicated support and a reassuring environment for residents living with Alzheimer’s disease or other dementia-related illnesses. 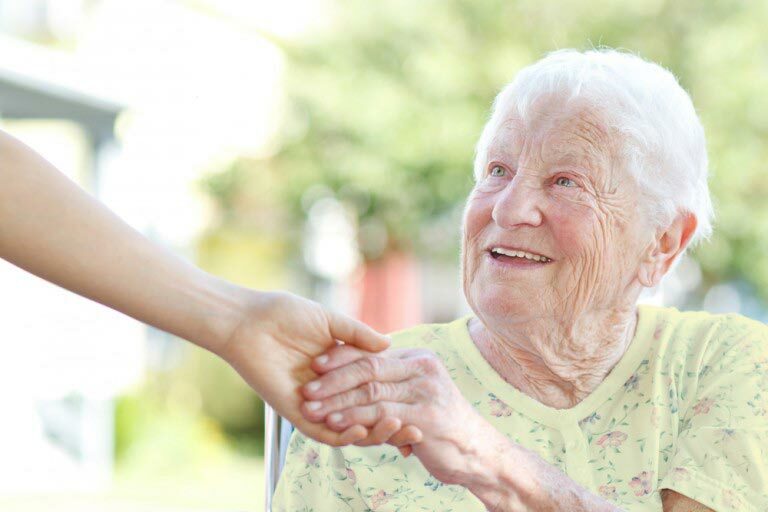 Lighthouse Senior Living is passionate about fostering a community that provides a compassionate and supportive environment for our residents with memory-related illnesses. That’s why The Village, our community within Lighthouse dedicated to the memory care population, has adopted the Positive Approach™ to Care, or PAC, developed by one of the world’s leading memory care specialists, Teepa Snow. This compassionate approach focuses on what the human mind can still achieve, rather than what’s been lost to the disease. Our team members’ job is to meet residents where they are. We minimize medications and maximize engagement through stimulating activities like gardening, baking, singing and dancing. We create moments of joy. Educate our families about memory impairment and work with them to foster the optimal care plan and environment for their loved one. Sadly, the old model for caring for individuals with dementia and other brain changes was to put them behind locked doors and keep them heavily medicated. Our approach is dramatically different. We focus on what residents can do, rather than what they cannot. And it’s incredibly effective. There’s just something that feels comfortable about Lighthouse Senior Living. After three months in another facility that just didn’t feel right, my wife became a resident in The Village at Lighthouse Senior Living. From my experience, it couldn’t be better. The people here are super friendly and very helpful – from top to bottom. Staff are extremely responsive, jumping right to it when you have a request or problem. And they’ve been both flexible and supportive, which allows me to spend more quality time with my wife. As family, I always feel welcome when I’m here, and I know my wife is getting the attention and care she needs. It’s a class operation. Want to learn more about our compassionate approach to Memory Care at The Village? Contact us today. There are so many success stories. For example, recently we had a resident who had memory decline and had been cared for in her home by a single caregiver. She never left her recliner and her mind was not stimulated. Her physical health had deteriorated to the point that she couldn’t walk. And she was very depressed. When she came to our unit, we began to work with her using our Positive Approach to Care. Gradually, she regained the use of her legs and started being able to do daily tasks on her own again, such as feeding herself. But best of all, her demeanor changed. I have been doing this for a long time, but watching a resident’s transformation still gives me goosebumps.